The Romanovs were the last imperial dynasty to reign in Russia. The ruling family held the throne for more than 300 years after rising to power in 1613. The sovereignty of the legendary monarchs came to a dramatic end with Russia’s last Czar, Nicholas II, during revolution in 1917. Known for their lavish lifestyle, tumultuous rule and fateful demise, the Romanovs have captivated the world until this day. Take a look at this rare collection of salvaged photographs providing an intimate glimpse at the last days of Russia’s iconic royals. 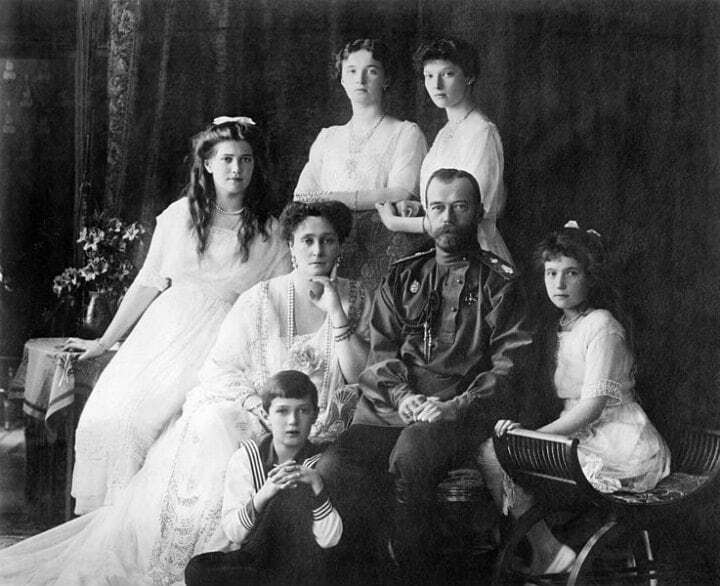 Czar Nicholas II and his wife, Czarina Alexandra, had five children, four of whom were daughters. Known for their illustrious beauty and tight-knit relations, Grand Duchesses Olga, Tatiana, Maria and Anastasia Nikolaevna (referred to as OTMA) are still considered intriguing historical figures nearly 100 years after their tragic ending. This poignant official portrait features the Romanov sisters dripping in pearls and wearing ornate evening gowns while sitting in one of the imperial salons where concerts were regularly held. In the background of the photograph, dated to 1915 or 1916, French furniture and an organ can be seen. All of the czar’s daughters learned to play the piano with Tatiana regarded as the most talented. Considered to be anointed by God, Nicholas II ascended the throne in 1894 and ruled until his forced abdication in 1917. His reign was marked by periods of political and social upheaval. While he was widely unpopular among his subjects and seen as a politically weak and inept leader, he was regarded as a caring family man. The last Russian emperor was an avid photography-lover and shot many of the following photographs taken between 1915 and 1916. 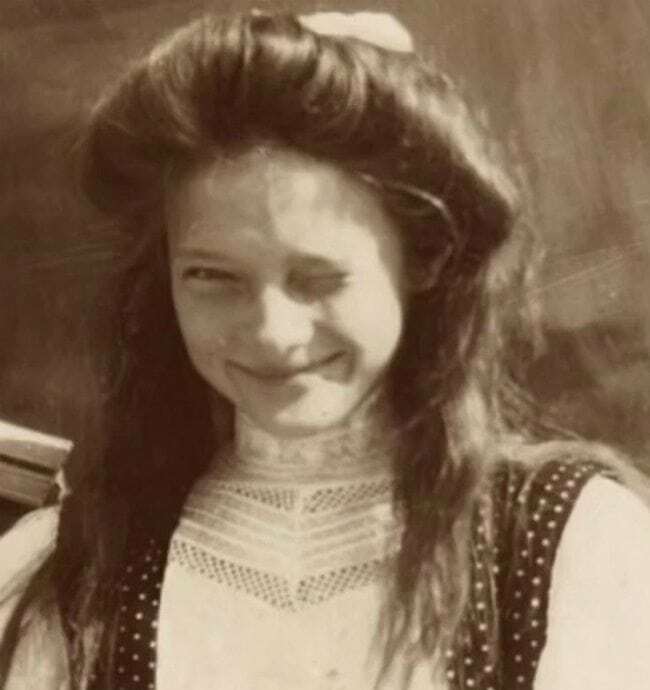 As this self-taken photo likely was, many of the black-and-white images saved by a confidant of the royals after their demise were hand-colored by the czar’s third daughter, Maria. Despite their privilege and fairy tale regard, the following pictures largely depict the down-to-earth, day-to-day activities of the historic monarchs. 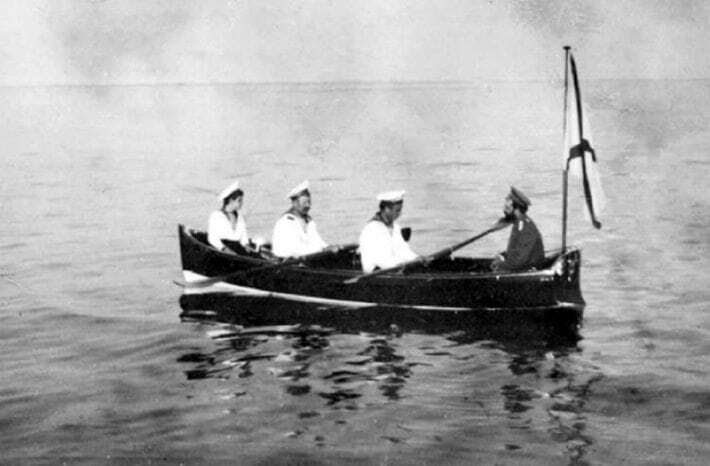 Nicholas II and Alexei are seen in a boat rowed by unnamed sailors in Finland in this seemingly impromptu photo. Prior to the outset of war, the Russian monarchs regularly boarded the imperial yacht to vacation during the summers in the Finnish skerries. Those visits included a lot of music, dancing and joking. Until 1917, the Russian czar’s title included ruler as the Grand Duke of Finland. The predecessor of the modern Scandinavian state had existed as an autonomous part of the Russian Empire since 1809. All five Romanov children are seen accompanying their father the czar (center) while visiting a regiment of Kuban Cossacks in Russia during World War I. 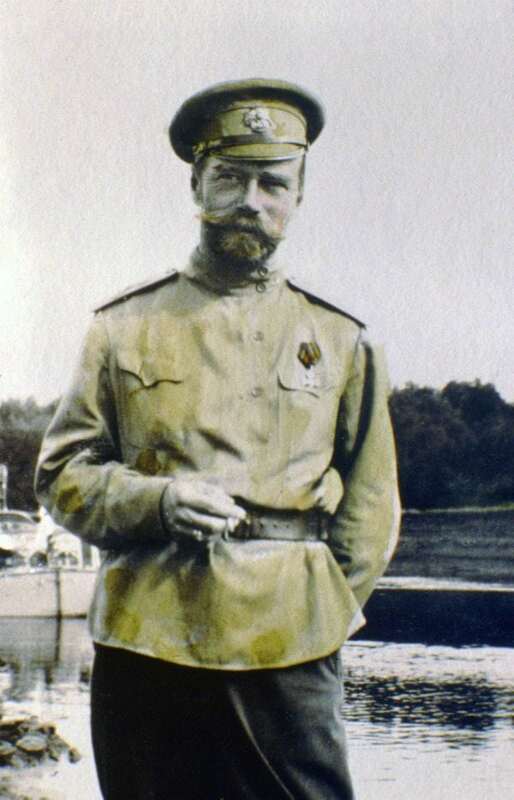 In 1915, the Russian leader left his imperial residence to take command of the failing military front during the war. The czar’s public image flailed considerably during the conflict. Meanwhile, appointed as regent in the capital, his Czarina Alexandra exercised influence on the state of affairs and further irked the public. Nicholas II’s poor handling of the Russo-Japanese War, 1905’s Bloody Sunday and World War I are credited with leading to the collapse of the Russian Empire. Stay versed on your imperial history by continuing through the slideshow. 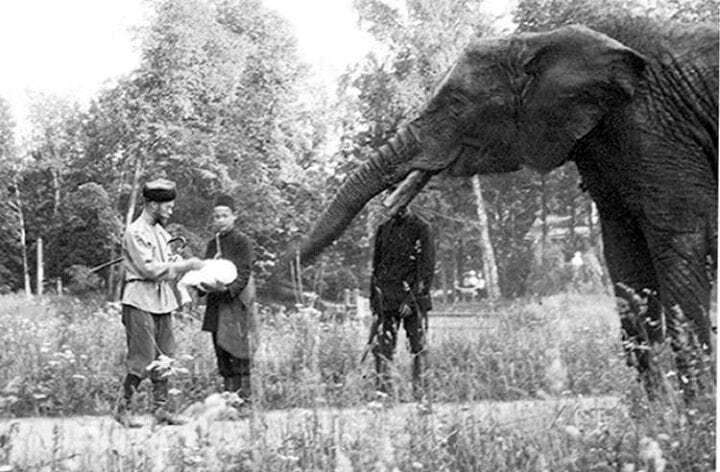 Various photos of the Romanovs visiting and feeding the elephant relay their affection for the sizeable mammal. The zoo, however, was closed after the Russian Revolution of 1917. The fate of the elephant and other animals in the zoo remained unknown after the monarchy’s fall from grace. Members of the House of Romanov inhabited various residences, including royal palaces, during their centuries of reign. This rare World War I-era photo shows Grand Duchesses Maria, Anastasia and Olga posing on the terrace of one of the grand imperial properties. The official residence of the royal family was the opulent, 1,500-room Winter Palace in St Petersburg. However, of the crown’s various properties, the czar was known to favor the suburban Alexander Palace on the outskirts of St Petersburg in Tsarskoy Selo. Despite their fond memories of the palace, it would later become their prison. Before the revolution, the Romanovs enjoyed an unmatched level of wealth and luxury with a family fortune valued at about $30-$45 billion. Their abundant assets included gold, jewels, land, cash, art, palaces and other properties, including the Russian Imperial Yacht, the Standart. 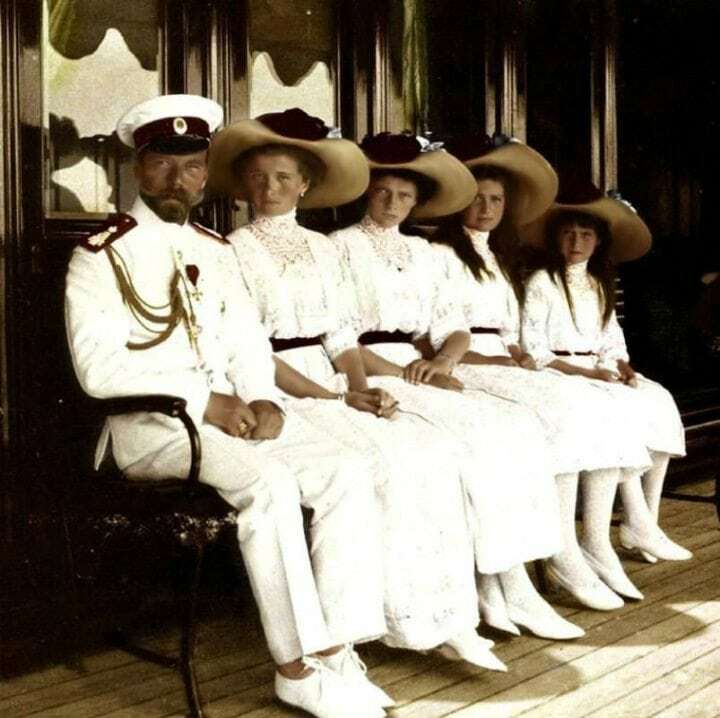 The czar and his four daughters are pictured in regal nautical attire in this photo taken aboard the top-of-the-line vessel. The palatial floating craft was fitted with ornate fixtures including crystal chandelier and mahogany paneling. In 1914, the royal family was vacationing abroad the Standart when they were informed of the assassination of Archduke Franz Ferdinand. 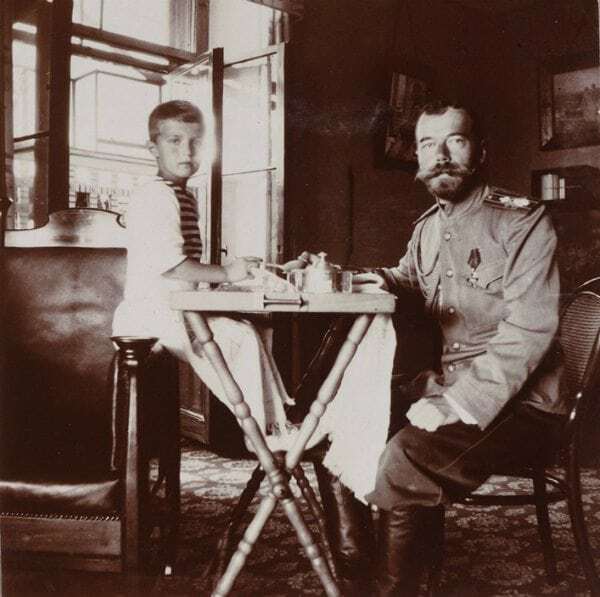 A young Alexei Nikolaevich is pictured with father, the czar, in this touchingly candid shot taken years before the royal family met their fateful end. Affectionately referred to both as Alyosha and “Baby,” Alexei was doted upon by his parents and sisters. After four daughters, Alexei was born in 1904 as the Romanovs’ long-awaited son. Fearful for their son’s state, the emperor and empress turned to the self-proclaimed holy man of ill-repute, Rasputin, for mystical advisory and treatment of Alexei’s ailment. Suffering his whole life from hemophilia, the czarevich was confined to a wheelchair for the final weeks of his short life. 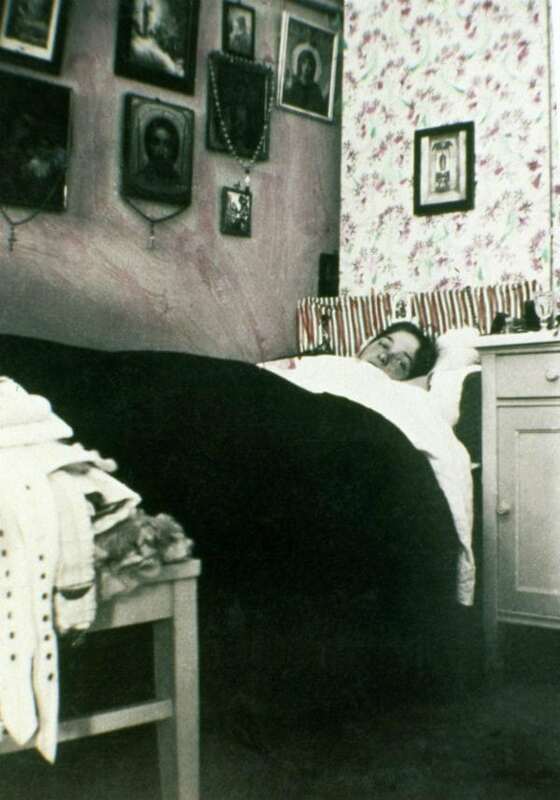 The eldest Romanov daughter, Olga, is pictured laying in her bed in this photograph. Olga’s future nuptials were the subject of much conjecture in Russia at the time. Alleged matches were rumored with the czar’s cousin Grand Duke Dmitri Pavlovich of Russia, Prince Edward of Wales and Crown Prince Alexander of Serbia. In years after her death, a woman named Marga Boodts came forward purporting that she was the grand duchess herself. One of several Romanov imposters, Boodts was disregarded as a sham. Russian investigators exhumed and identified Olga’s remains in 1991. She was reburied, along with her parents and two sisters, at a 1998 ceremony in St Petersburg. Scroll on to the next fascinating photos taken prior to the tragedy that the Romanovs would soon befall. 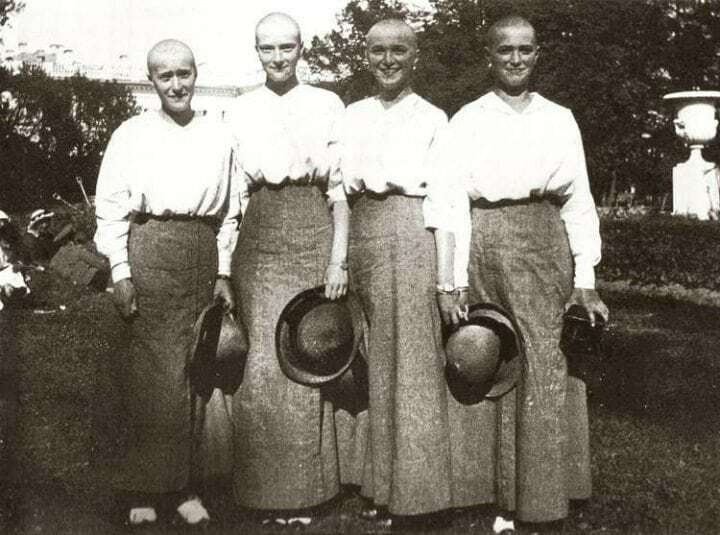 A bout with the measles spurred the Romanov daughters to shave their heads while house arrest in the spring of 1917. The shocking image of the sisters with bald heads and plain clothes was strikingly different from their meticulously coiffed appearances a year before. Due to their stricken condition, the Romanovs allegedly missed a window to evacuate to Britain. The children contracted the disease as unrest in St Petersburg threatened the safety of Czarina Alexandra and her five children. At the time, the Czar was still at Russian military headquarters, but he soon abdicated and returned to Alexander Palace to join his family. 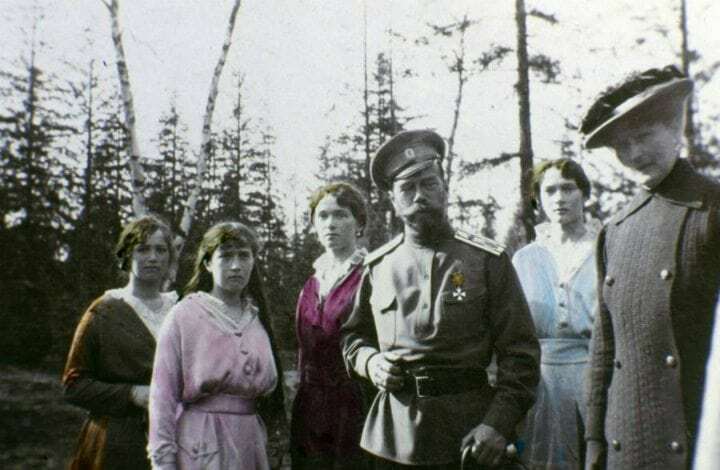 This photograph, snapped sometime between 1915 and 1916, shows Czar Nicholas II and his daughters Maria, Anastasia, Olga and Nicholas (from left to right). The sisters shared a close bond along with their younger brother Alexei. 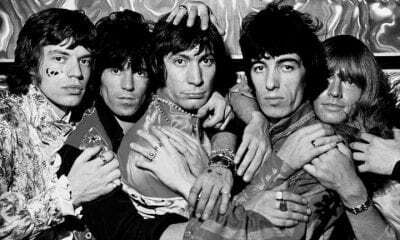 They shared rooms and were known to all dress alike. 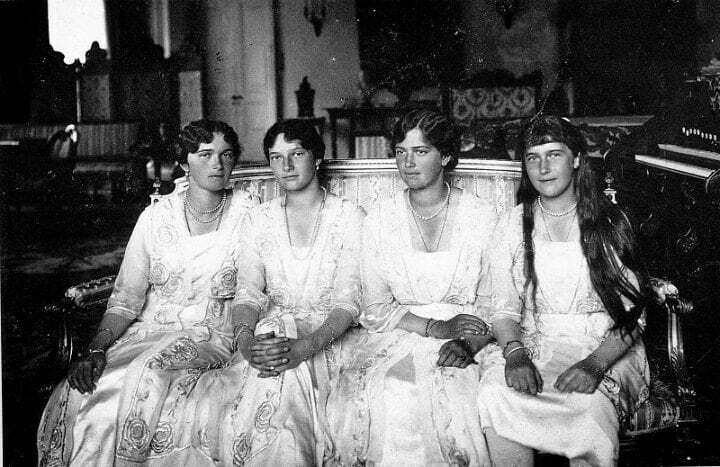 For decades romanticized narratives about the four Romanov sisters pervaded. The princesses grew up among the grandeur and pomp of the royal court. Yet, in their nursery, they were raised in a relatively austere and simple fashion following the tradition of their maternal lineage. Surprisingly, the sisters were said to have shared hand-me-downs, slept in simple iron beds and bathed in cold water. 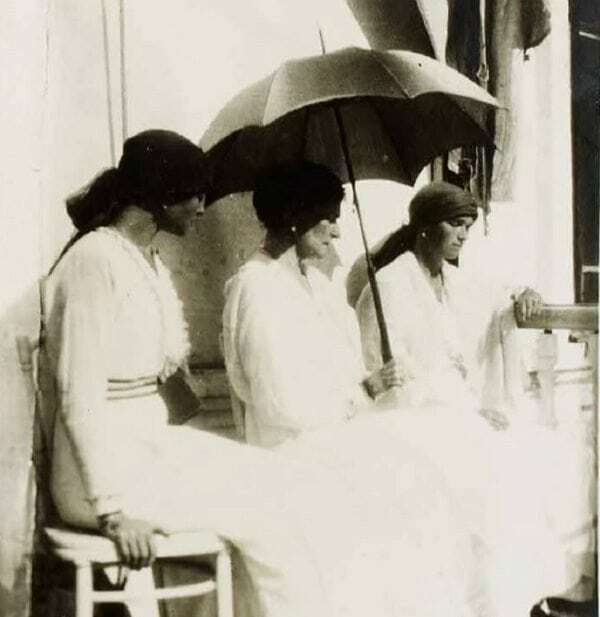 The older three Romanov girls are seen in this relaxed capture taken just a year or two before their family’s exile. 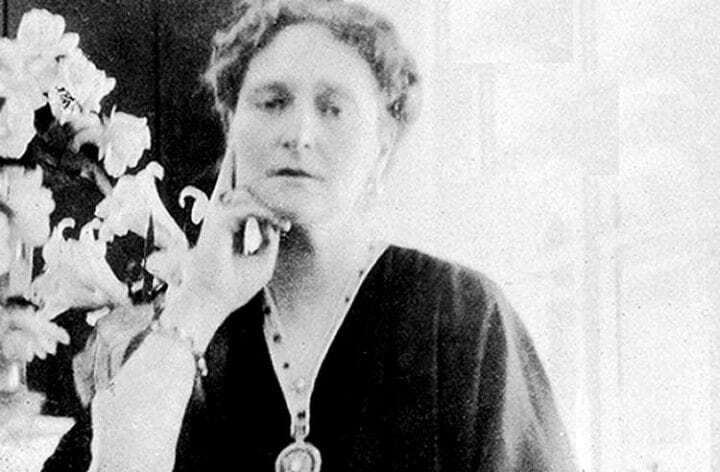 According to historian Helen Rappaport, first-born Olga was described as a romantic and dreamer, who held the great responsibility of setting an example for her younger siblings. Meanwhile, second-born Tatiana was regarded as a great beauty with a brisk and reserved temperament. Maria, in contrast, was known to have an affectionately warm, maternal disposition. As the young women sat for the ethereal shot, Russia faced usurping turmoil on the domestic and international front. 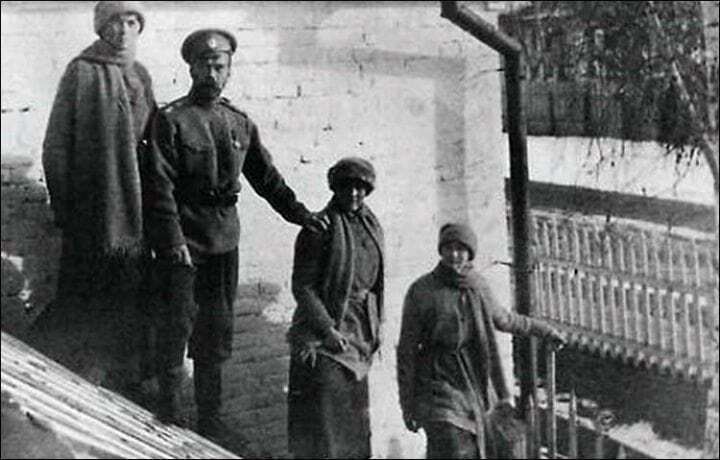 Olga, Alexei and Tatiana are captured in this 1914 picture, taken four years before their execution. 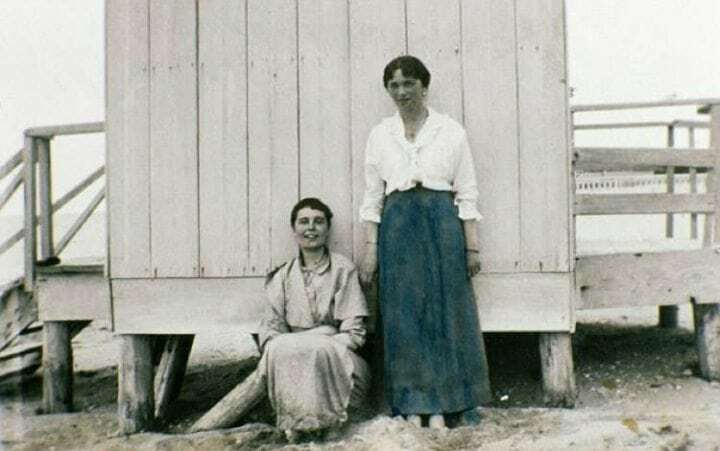 Alexei’s older sisters, particularly Olga, were known to take care of their brother. Due to his fragile condition, the youngest Romanov was said to be somewhat spoiled, yet a playful and affectionate child. The czarevich was said to love playing pranks on guests. Yet, he was prohibited from riding bicycles and rough activities. 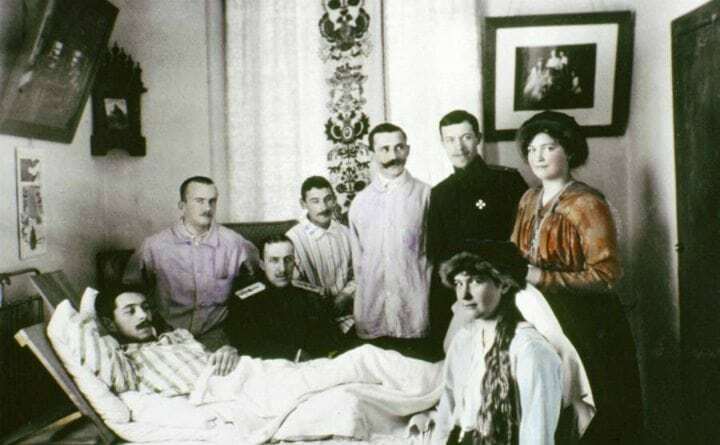 His French tutor, Pierre Gilliar, noted that the nature of Alexei’s hemophilia was kept a state secret due to its life-threatening severity and his position as the royal successor. Keep reading for more nostalgic images that depict the romance, mystery and tragedy surrounding one of history’s most famed families. 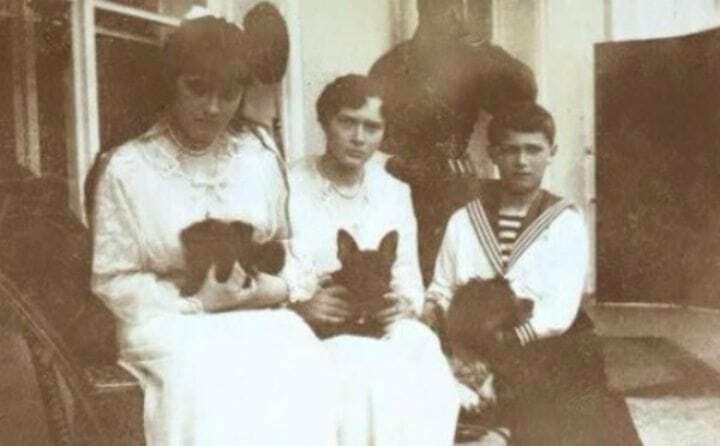 Anastasia, Tatiana and Alexei are pictured here in the spring of 1917 during captivity at Tsarskoe Selo holding their respective furry pals Jemmy, Ortipo and Joy. A wounded officer gave the French bulldog puppy, Ortipo, to Tatiana. The pet became a family favorite and was often mentioned in their personal writings. Ortipo would ultimately accompany the Romanovs in their exile and imprisonment at the Alexander Palace and then in western Siberia’s Tobolsk. 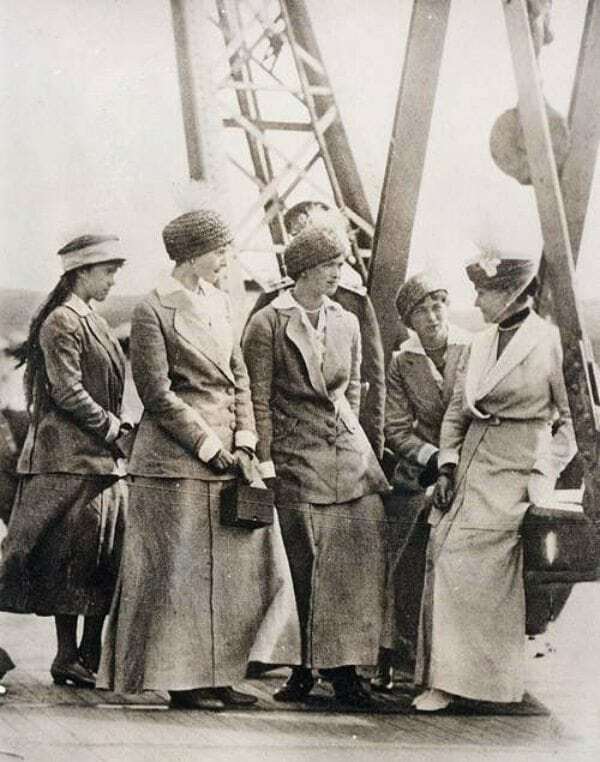 There, according to records, Tatiana tried to balance both the dog and her luggage while the banished royal family trekked in the mud from the train station to their accommodations. Ultimately, Alexei’s dog Joy was the only survivor of the revolution. 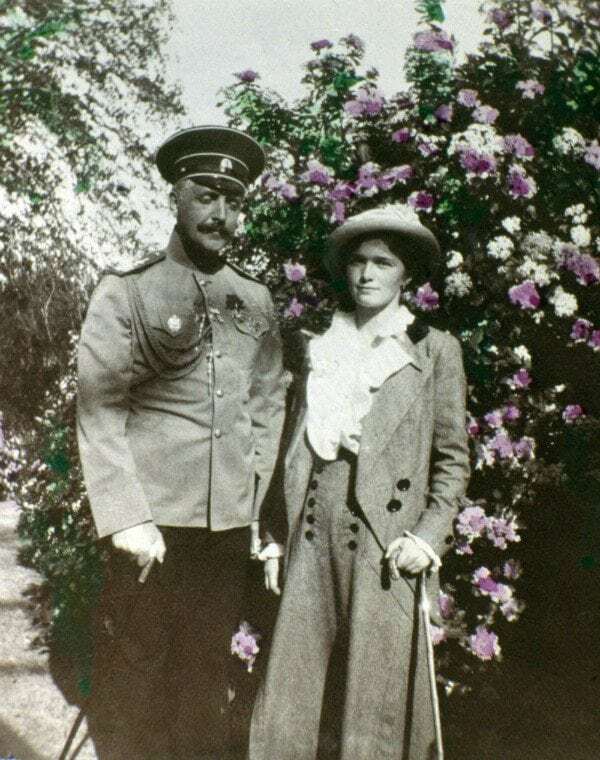 Tatiana is seen standing in front of a blooming flower bush alongside an unidentified man in this photograph from 1915 or 1916. She would have been 18 or 19 years old at the time. The second-born Romanov was regarded as the best known of her sisters during her life. Described as tall and slender with deep auburn hair and gray-blue eyes, many courtiers considered Tatiana the most becoming of the four grand duchesses. King Peter of Serbia allegedly sought for his son to marry the blossoming beauty. However, the outbreak of World War I put a halt to marriage negotiations. Despite their expected noble couplings, all of the Romanov girls were known to be drawn to men in uniform. Grand Duchess Tatiana was the second child of the Czar and Czarina. As a matter of fact, her Russian title is best translated as ‘Grand Princess’, and as an imperial highness, she was actually higher in rank than all the European princesses, who were only ‘royal’ hignesses. Tatiana’s official title wasn’t used very often– her friends and family usually called her Tanya, Tatya, Tanushka or Tatianochka, all ordinary Russian nicknames, or by her patronym, Tatiana Nikolaevna. As one story goes, when addressed as “Your Imperial Highness” by a Baroness, Tatiana was so unsettled that she kicked the Baroness under the table. This photograph of the Czar (far left) and members of his family is dated to approximately 1915 or 1916. 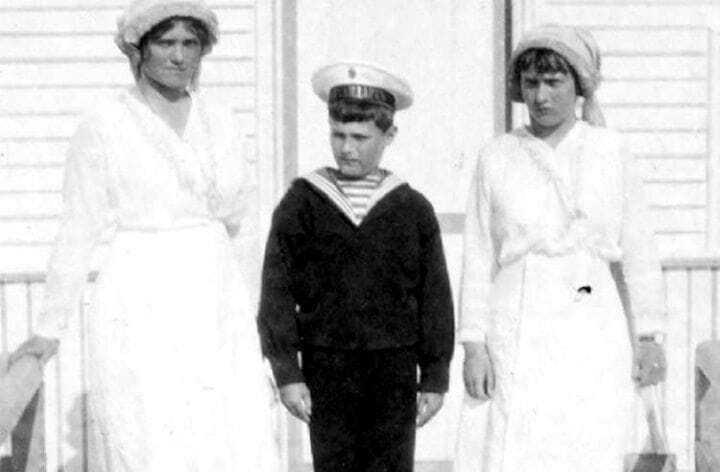 Due to his hemophilia, the Czarevich Alexei (pictured center) was in the constant eye of two Navy officers assigned to monitor him and carry him when he could not walk. Alexei’s sisters were born in quick succession much to the private joy of their parents. However, until his birth as the male heir to the throne, the survival of the monarchy was in jeopardy and public scrutiny along with superstitious murmurings of a curse enshrouded the royal family. 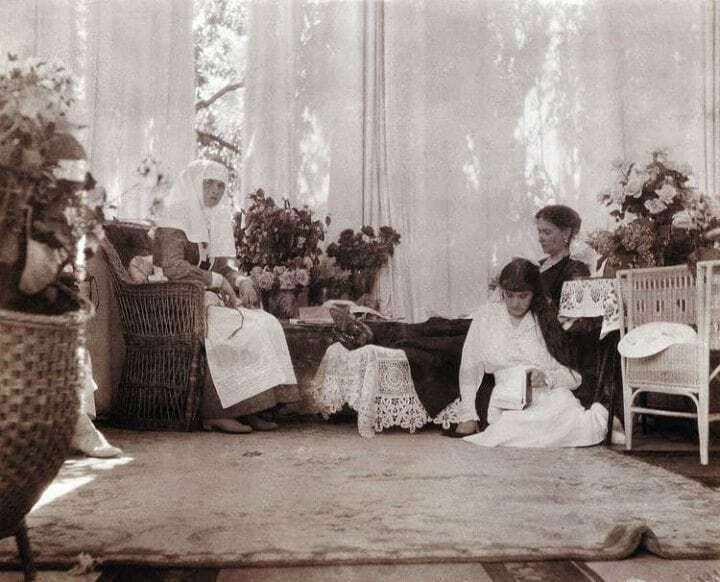 The Empress Alexandra is seen lounging while her eldest daughter, Olga, and youngest, Anastasia, enjoy some quiet time with their mother in this photograph taken around 1916. Historical accounts present Alexandra as a domineering force in the lives of her daughters and husband. Born in Germany, Alexandra was the sixth child of Grand Duke Louis IV and Princess Alice of the United Kingdom. At the age of six, she tragically lost both her mother and younger sister to diphtheria and was later educated by her grandmother, Queen Victoria. The future Russian empress first met her husband-to-be when she was only 12. 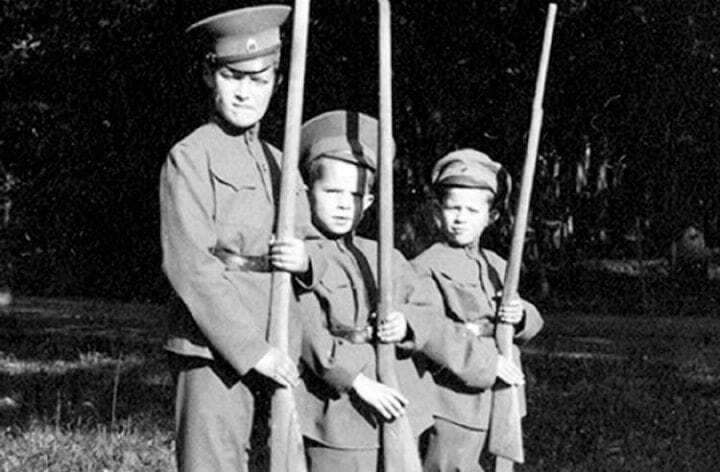 The Crown Prince Alexei (left) plays soldiers with the children of one of his tutors in this photograph as war breaks out in 1914. During World War I, Alexei joined his father at Stavka – the high command of Russia’s armed forces. Though he had none if any military experience, Czar Nicholas II took over the position of Commander-in-Chief of the Russian Army in 1915. Despite his health issues, Alexei was apparently very fond of the military life and even took pride in eating soldier’s rations. Little did the young royal know, his days of make-believe war would soon make way for a brutal reality. 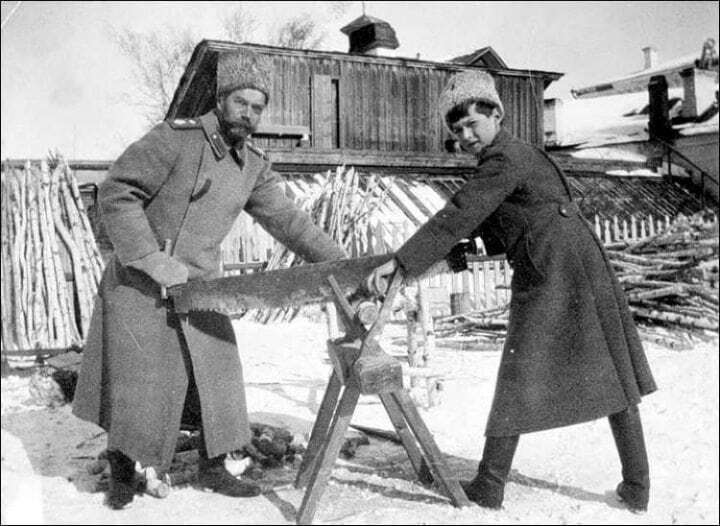 This photograph taken circa late 1917 or early 1918, shows Nicholas and Alexei sawing during captivity in Siberia. 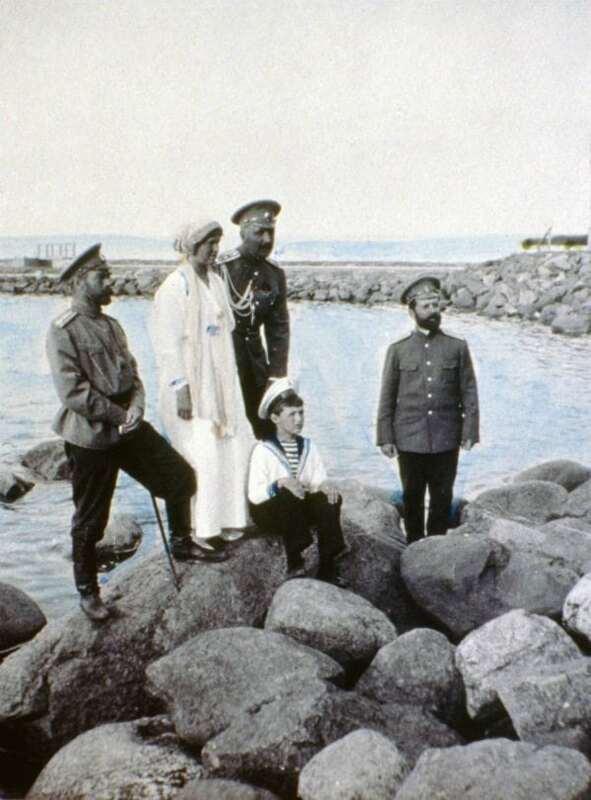 The photo was likely taken by the fallen czar’s daughter Maria in Tobolsk. 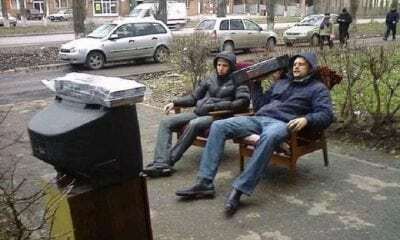 Due to his hemophilia, Alexei often was not able to engage in such rigorous physical activity. At the time that the photo was snapped, Vladimir Lenin and the Bolsheviks had come to power and the royal family had to dismiss a score of loyal servants. The family also had to adhere to dietary restrictions, giving up butter and coffee and subsisting on soldiers’ rations. The end spells near in the final haunting images of Russia’s fated royal family. Less than a decade after the Russian Revolution of 1905, the empire entered World War I in support of Serbia, France and Britain. This war-era photo features Czar Nicholas II’s youngest daughters Maria and Anastasia visiting soldiers. The war would prove problematic for the Czar. 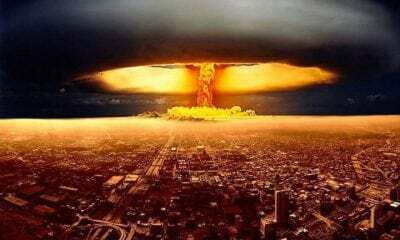 With death toll estimates at about 2 million, Russia sustained more casualties than any nation in any previous conflict. Grievances with the crown along with rampant food and fuel shortages, corruption and a plummeting economy, propelled Russia, yet again, toward revolution. As part of propaganda efforts to bolster the monarchy’s image during World War I, the four Romanov sisters would visit Russian troops. Draped in elegance and grace, the young women were coming of age, yet the popularity of the crown was waning. 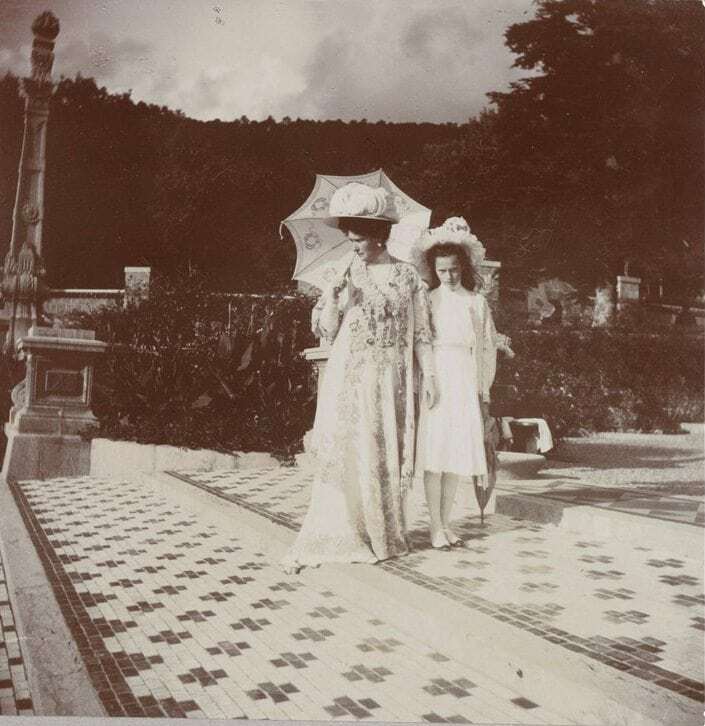 Empress Alexandra and her second-born daughter, Tatiana, are positively striking in this sumptuous time capture. Tatiana was said to most resemble her mother out of all her sisters. There was also an alleged mutual favoritism between Tatiana and her mother. Like her siblings and mother, Tatiana greatly confided in Rasputin. Yet, controversy prevailed when an imperial governesses expressed horror that Rasputin was granted access to the nursery while the sisters were in nightgowns. Rumors circulated in society that Rasputin had seduced not only Alexandra but also her four daughters. However, most accounts point to Rasputin’s contact with the children as innocent in nature. 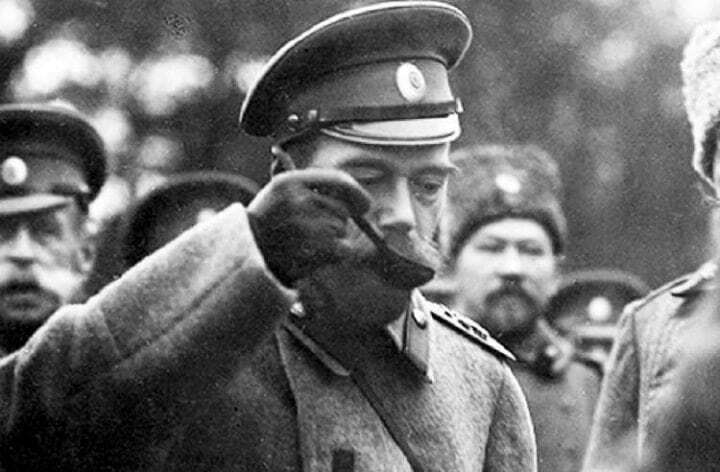 Czar Nicholas II is pictured in 1916 inspecting the troops and porridge near the Russian military headquarters in Mogilyov during World War I. The czar’s leave to the front lines served a further blow to the crown as his wife, advised by Rasputin, shuffled through skilled ministers and replaced them with weak replacements. The omnipotence of the dynasty’s grasp was unremittingly unraveling as the monarchy faced accusations of treachery and anti-imperial sentiments increased. Further, the war drained national resources and the Duma (the legislative assembly established by the czar) called for political reforms as the nation teetered on collapse. Upon the czar’s return to the capital, domestic disaster began to ignite. You don’t want to miss the foreboding next photos that foreshadow the dramatic downfall of the last Russian dynasty. 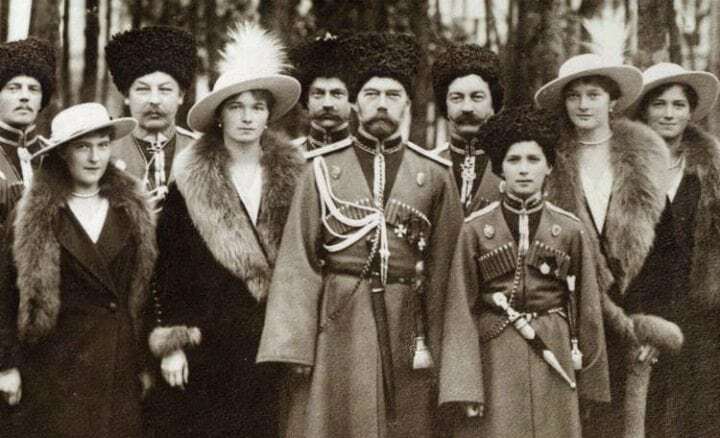 The centuries-old myth of benevolence of the Russian monarchy dramatically ended on March 15, 1917 when the czar was forced to renounce the throne in the midst of sweeping chaos plaguing Russia. Nicholas II named his brother, Grand Duke Michael, as the next Russian emperor, but he ultimately declined. Stripped of his title as “emperor,” Nicholas II was now referred to as Colonel Romanov. The fallen royals were placed on house arrest in Alexander Palace before eventually being exiled in August 1917 to Tobolsk in Siberia. In the spring of 1918, the family was moved to their fateful, final destination of Yekaterinburg in the Urals. Speculative tales of the possible escape of Anastasia from the hands of Bolsheviks flooded public interest decades after this photograph was taken of her in captivity in 1918. The haunting image of the imprisoned princess in Tobolsk was likely taken mere days before her family’s execution. Several women falsely claiming to be the surviving grand duchess perpetuated mystique and intrigue in Anastasia for generations to come. Her legacy has inspired many books and films, including the 1997 animated Disney movie classic based on the premise of her fabled escape. DNA testing, however, takes account of the remains of the entire Romanov family. 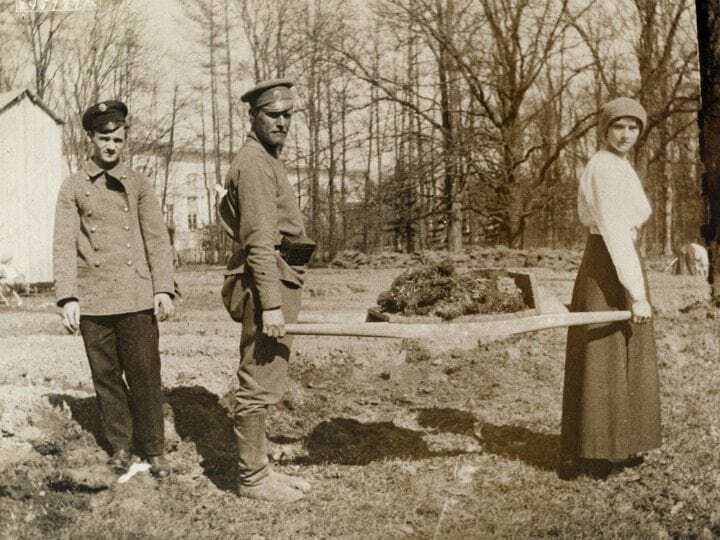 Princess Tatiana is seen with a soldier transporting sod in this photograph taken in the spring of 1917 while the Romanovs were detained in their residence in Tsarskoe Selo. 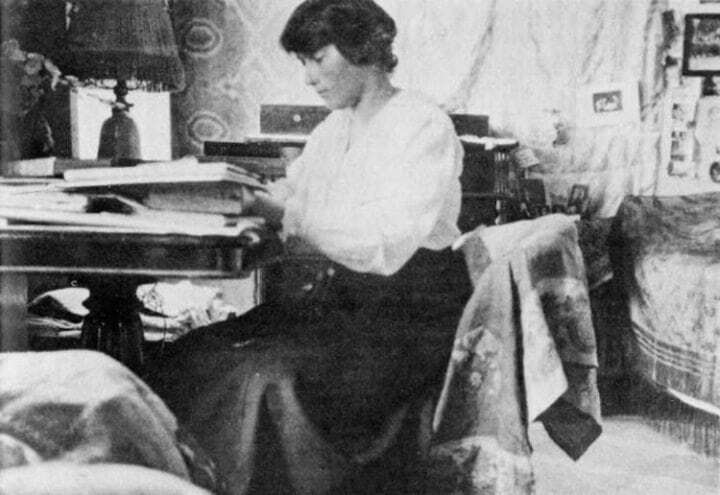 While the deposed Imperial Family grappled with captivity, Tatiana was accustomed to physical labor from her days as a nurse during World War I. The second-oldest Romanov girl allegedly served as a great uniting force for her family during the trying period. She helped her siblings sew the family jewels into their garments so that they would have the means to finance a new life in the event that they escaped imprisonment. 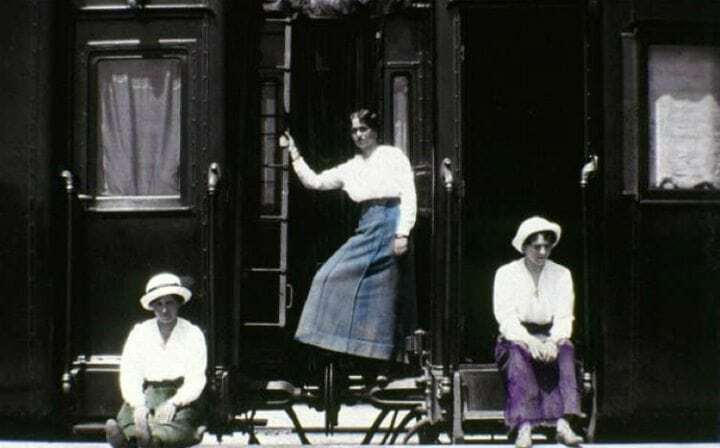 The former Empress Alexandra is pictured flanked by her daughters, Olga and Tatiana, in what was likely one of the last photographs of the Czarina. 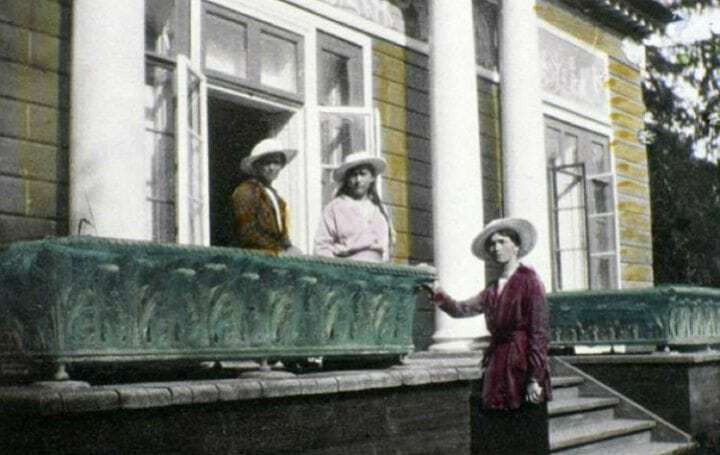 The three forlorn-looking women sit under an umbrella on a balcony at the Governor’s Mansion in Tobolsk, Siberia, where they were held in captivity. The photo was taken in the spring of 1918, months before their transfer to Yekaterinburg, where they were eventually killed. 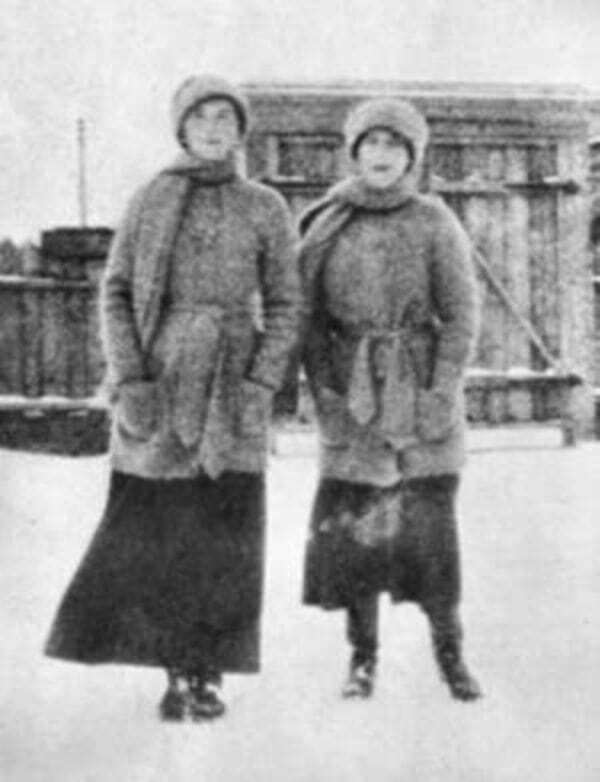 Alexandra was 46 at the time of the family’s assassination, while Olga was 22 and Tatiana was just 21. The Romanov sisters were cited by historians as the most photographed princesses of their day. 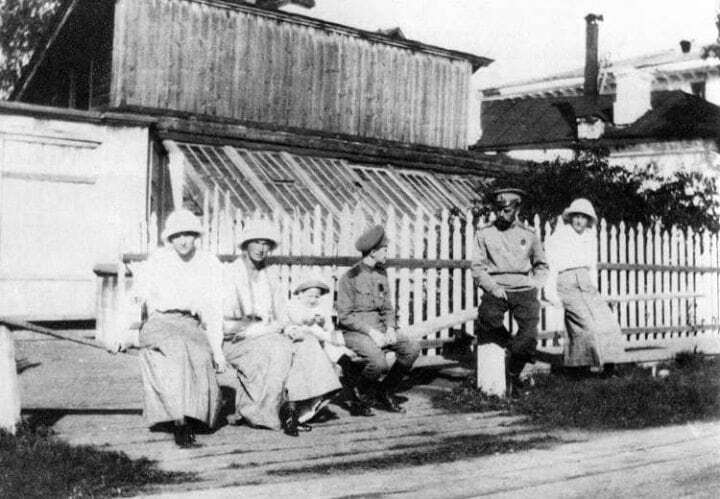 Czar Nicholas sits with his children Tatiana, Olga, Alexei and Anastasia along with the young son of a servant while in captivity in Toblsk. Soon after this photo was taken, Nicholas, Alexandra and Maria were transported by train to Yekaterinburg in April 1918. Early photographs of the four sisters especially show the similar vestiges they would wear at the behest of their mother. During their short lifetime, the daughters were reportedly often regarded as a homogenous group rather than unique individuals of consequence. While in captivity at the Governor’s Mansion in Tobolsk, the Romanovs were allowed some comforts, but their daily lives had drastically changed from the days of palaces and splendor. The provisional government of Alexander Kerensky initially sent the family to Siberia on the premise of protecting them from uprising. The Imperial Family found it hard to cope, however, amid the bleak reality of isolation with limited interactions to the outside world. Yet, when the Bolsheviks took power in October 1917, the conditions of the royal family’s confinement became increasingly severe. This photo of Czarina Alexandra was taken aboard the Standart in 1914, a few years before her death. A shy woman whom her subjects inferred as cold, Alexandra was treated with suspicion and scrutiny in court and by the masses. Her unquestioning faith in the questionable Rasputin led to further disapproval in aristocratic circles. Concern over his influence over the czarina eventually led a group of nobles to device Rasputin’s assassination. During her final years, the empress suffered from declining health and spent much of her time confined to a wheelchair. 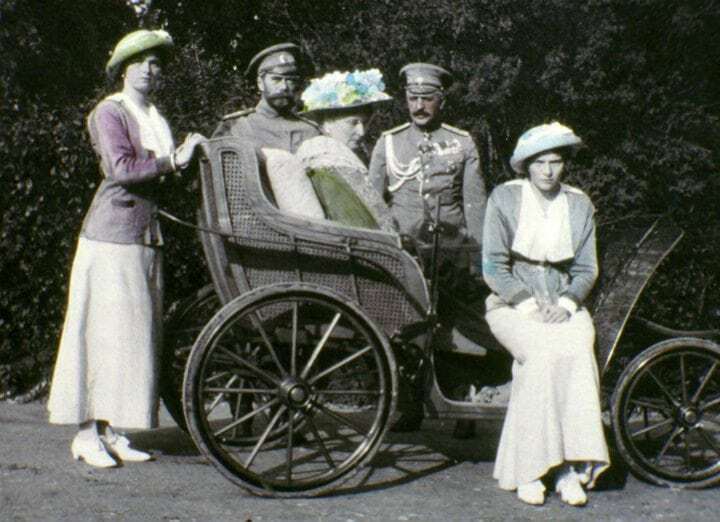 The Russian empire’s ruling couple is seen here posing with a grand carriage flanked by their beloved daughters, the Grand Duchesses Olga and Tatiana. The imperial adjutant, Nikolai Pavlovich Sablin (second right), also appears in this picture taken circa 1915-1916. Nicholas married Princess Alix of Hesse, who later took the name Alexandra Feodorovna, in 1894 shortly after his coronation. She was a granddaughter of Queen Victoria of Great Britain. The empress was largely unpopular with the Russian people in part due to her curt demeanor, German ancestry and adherence to notorious Russian mystic, Grigori Rasputin. In the year 2000, the Russian Orthodox Church finally canonized the Romanovs as passion bearers and martyrs. The revered site of their brutal execution now lays beneath the altar of the Church on Blood, aka The Church of All Saints. Immortalized in the wraiths of history, the Romanovs represent emblems of a world that disappeared forever. As these photos attest, however, the cherubic faces of the Romanov children will forever be ingrained as hauntingly beautiful and innocent reminders of the tragedies of history. 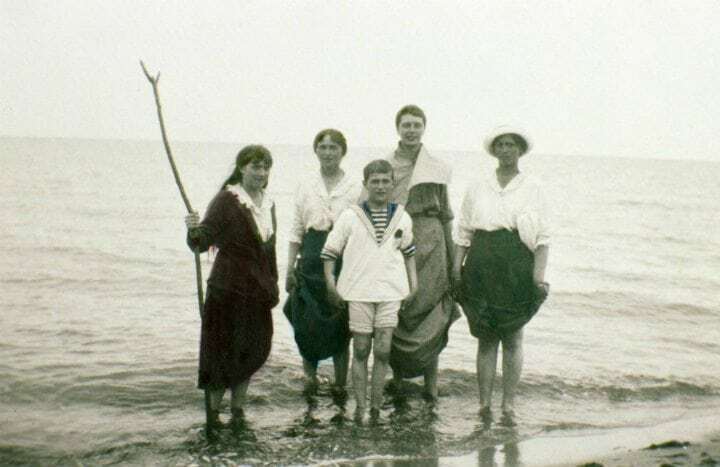 Maria, Olga, Tatiana and their brother Alexei Romanov pose at the beach along with family friend “Ritka” Khitrovo in this fun-loving photo that was found among six family albums rescued by Czarina Alexandra’s friend and confidant, Anna Vyrubova. The collection is now housed in the Beinecke Library at Yale University in Connecticut. Don’t forget to SHARE this article if you love all things royal!